Product Information: Digital Photo Recovery Software recovers deleted pictures, images and photos from Windows partitioned hard disk drive, USB drive like Pen drive, Thumb drive, flash drive, Windows based mobile phones, Digital camera and other mass storage devices. Software scans your device and retrieves all lost pictures. Picture recovery software supports recovery in major data loss situations such as human mistake, power surge, virus attack, disk format, improper device handling and other data loss occurrence. Recovers lost or deleted pictures from different types of storage devices. Recovers photos due to deletion, corruption or formatting. Recover lost files including jpg, jpeg, gif, bmp, mpeg and other similar file types. Scans the storage media and retrieve deleted pictures. If you have any query regarding Photo Recovery Software, please contact our Customer Support Team to ask for detailed Photo Recovery Software tutorials and Technical assistance. Digital Camera photo recovery software restore digital camera data including videos, picture, graphics, image files and photographs lost due to accidental deletion, format, improper device usage or from corrupt media. Digital image recovery software allows you to recover lost or deleted images from digital camera. Mac Digital Photo Recovery Software recovers lost digital pictures, images and snaps from different storage devices on Mac OS X installed machine. 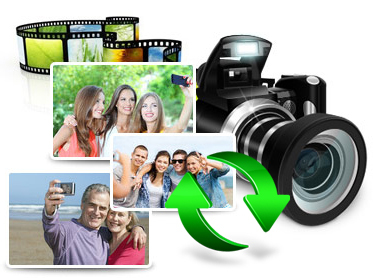 Picture recovery software restores deleted digital photographs from all types of digital media. Photo recovery program recovers lost wedding photographs, images and snaps.